If you have come to this site, you probably need help -- either in getting an answer to a question or in deciding whether you should hire an attorney after you were injured. This site has tons of useful information. If you can't find the answer that you need here, you can always call us or send us an e-mail. Almost all of our current clients have been referred to us by prior clients. We do not rely on slick television or yellow page advertising nor do we mail out letters to people who were recently in auto crashes. Like you, we find that kind of ambulance-chasing offensive. Almost all of our clients are here because of "word of mouth" or because another attorney recommended that they talk to us. They are here because they want to be treated fairly. It's that simple. Since this firm was started in 1949, we have helped thousands of people just like you make recoveries that are fair and comprehensive. In the process, we have earned a reputation for results and fair-dealing that has led to satisfied clients and recognition by the legal community. We invite you to see what our clients say about us in their testimonials and examine our verdicts and settlements. Our clients come from Lorain County, Ohio - and nearby Erie County, Cuyahoga County and Huron County. After we finish their case, they let others know that they don't have to go to Cleveland to find highly-trained, result-driven attorneys. It is former clients and other attorneys who get out the message that we take on insurance companies and beat them decisively. The trial lawyers at Miraldi & Barrett have been fighting for the people in cities like Lorain, Elyria, Sandusky and Norwalk for more than 60 years. Both Benjamin Barrett Sr. and David Miraldi have been recognized by their peers as excelling in the field of negligence and personal injury law. Both were named Ohio Super Lawyers for the last seven years, 2010 through 2016. This rating is based solely on the evaluations of other attorneys and judges. This honor is limited to the top 5 percent of attorneys in their field. Both Ben and David have achieved an AV rating, the highest category possible from Martindale-Hubbel, again a rating based on peer review. The amount of available insurance does not fully compensate you. This firm looks at the totality of the circumstances and arrives at a percentage that is reasonable and fair to both you and the attorney. Before entrusting your case to another law firm, please give them a call. Through the years Benjamin Barrett Sr. and David Miraldi have built a record of success by aggressively obtaining outstanding results for their clients while providing the personal attention that one would expect from a locally owned business. By being selective about the cases they accept, they can insure that your case will receive the individual attention that it deserves. Building a relationship with their clients is their top priority. If you need an attorney, call them at 1 800 589 3023 for a free consultation. Once they take on your case, they will be with you every step of the way. Our experience doesn't cost more. Partners David P. Miraldi and Benjamin F. Barrett Sr. have deep roots in the communities along the shore of Lake Erie and have been acknowledged by their clients and peers alike as among the best Ohio has to offer. 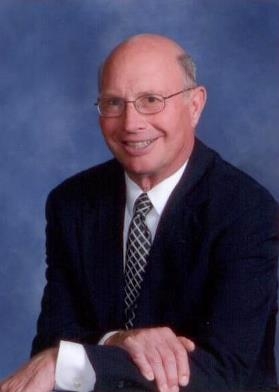 As a founding partner in the firm, Mr. Barrett is one of the premier trial lawyers in the state. In 1986, he was inducted into the prestigious American College of Trial Lawyers, an organization that accepts less than one percent of practicing lawyers. Mr. Barrett has also been repeatedly recognized as one to the top attorneys in Ohio by Ohio Super Lawyers Magazine and has been cited as one of the top 100 trial lawyers in Ohio by the American Trial Lawyers Association. 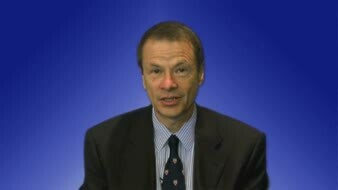 He has handled complex injury litigation throughout the Buckeye State. 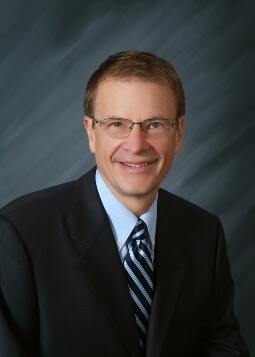 A resident of Avon and a second generation partner in the firm, Mr. Miraldi is a member and past president of the Lorain County Bar Association as well as a member of the Ohio StateBar Association, Cleveland Academy of Trial Lawyers and the Ohio Association for Justice. Like his partner, Mr. Miraldi has been named an Ohio Super Lawyer and has received the highest rating from Martindale Hubbel, the oldest peer-reviewed rating system in the country. He, too, has been involved in many multi-million dollar settlements and verdicts. 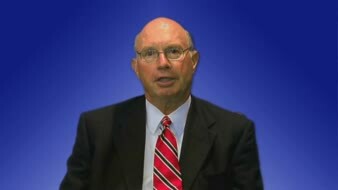 His practice includes negligence, product liability, and medical claims as well as litigation of insurance coverage disputes, employment termination claims, and insurance bad faith claims. David Miraldi along with Ben Barrett Sr. has been named a Top 100 Trial Lawyer by The National Trial Lawyers. Their office is located at 6061 S. Broadway Ave., just minutes from I-90 (State Route-2). and provides easy access and free parking for their clients. View the map. 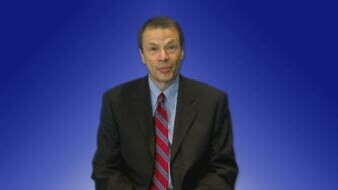 "My friends told me that I needed to get a lawyer located in Cleveland to handle a serious injury case. My friends apparently were not aware of your firm. Your knowledge, your personal attention, and the result you achieved for me were outstanding. When you add this to the convenience of having an attorney located in Lorain County, I could not have made a better choice. Thank you." "You were very great to work with and I was very satisfied with the outcome result. Thank you." "You were a blessing to us - thanks for your compassionate help!" "It was gratifying to have an attorney that stuck it out with me even during the hard times and did not take the easy way out!" "We were impressed with your total honesty from the very first meeting." "Thank you for your great service. You helped us when no one else would." Miraldi & Barrett Co. serves clients in Lorain County (Cities: Lorain, Elyria, North Ridgeville, Avon Lake, Amherst, Avon, Oberlin, Vermillion, Sheffield, Wellington, La Grange, Grafton); Erie County (Cities: Sandusky, Huron, Perkins Township); Cuyahoga County (Cities: Cleveland, Westlake, Rocky River, Fairview, North Olmsted, Lakewood); Huron County (Cities: Norwalk, Bellevue, Milan). 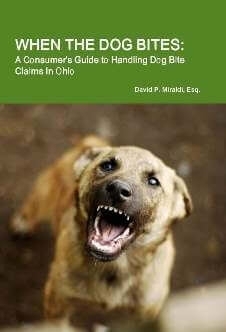 This book answers many of the questions confronting a person who has been injured by a dog or animal attack in Ohio. It includes suggestions and advice in dealing with the insurance company and answers frequently-asked questions regarding the claims process. The author explains the law as well as the types of damages that a person can recover. 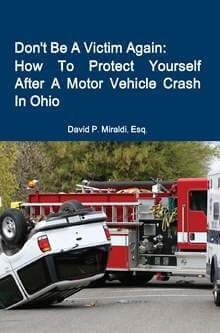 This book answers many of the questions confronting a person who has been injured in an automobile or motorcycle accident in Ohio. It includes suggestions and advice in dealing with the insurance company and answers frequently-asked questions about the claims process. The author explains the law as well as the types of damages that a person can recover. 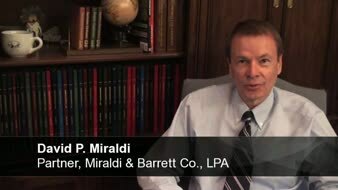 Meet Partners Benjamin F. Barrett, Sr. and David P. Miraldi A brief overview of the firm. 40 years of experience. Proven results for clients.